Two congressmen introduce measure to establish international fund to promote peace between Israel and Palestinians. Two congressmen introduced a measure to establish and provide money for an international fund to promote peace between Israel and Palestinians. Reps. Jeff Fortenberry, R-Neb., and Joseph Crowley, D-N.Y., introduced a bill on Monday urging the United States to establish — in cooperation with the Israeli government, the Palestinian Authority, regional governments and the international community — a fund to promote Israeli-Palestinian cooperation, dialogue and joint economic development. The measure, called the International Fund for Israeli-Palestinian Peace Authorization Act of 2017, would require the United States to provide at least $50 million to the fund annually from 2017 to 2021 and provide two bipartisan representatives to serve on its board. According to the Alliance for Middle East Peace, or ALLMEP, a network of groups that promotes grassroots peace-building initiatives and proposed creating the fund, the annual budget would be $200 million. ALLMEP lauded the bill Tuesday in a statement. The American Jewish Committee and the Jewish Federations of North America also praised the effort. 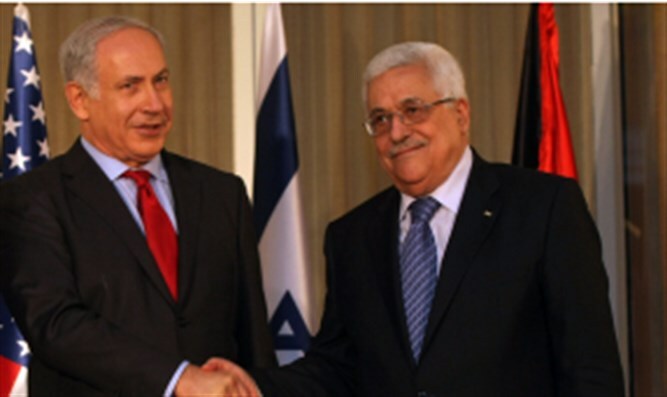 “Initiatives such as the International Fund for Israeli-Palestinian Peace provide an opportunity for the United States to further contribute to peace-building between Israelis and Palestinians on the people-to-people level," said Julie Rayman, the AJC's director of political affairs, according to the ALLMEP statement. JFNA's senior vice president for public policy, William Daroff, said in the statement that his group "welcomes and supports" the bill. "We urge members of Congress to help those on the ground looking for peace to get behind this initiative," Daroff said.